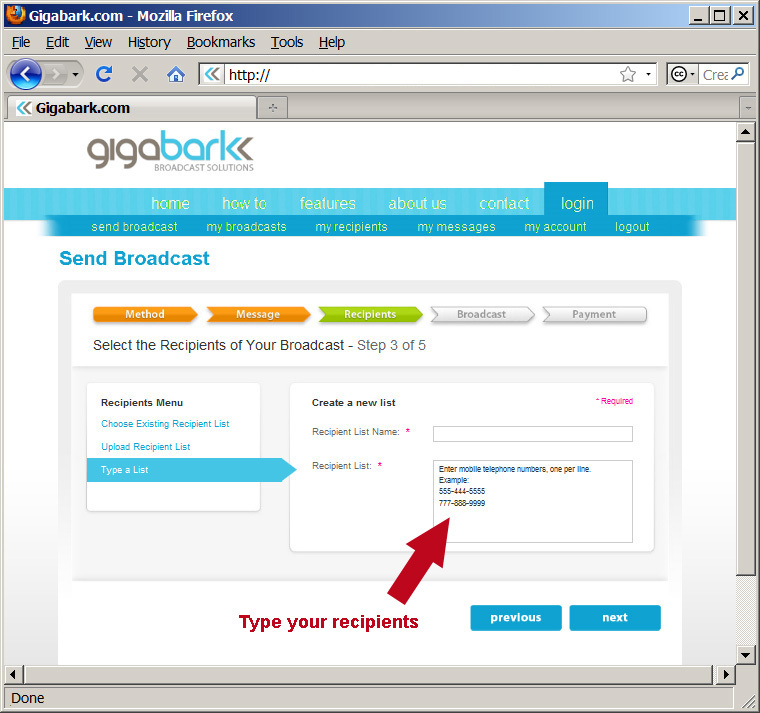 The screen captures below show how easy it is to send a broadcast with our wizard and our site. To make matters even simpler, some functions (such as appointment reminders) can be single-page web forms so the only click needed is "Send"! 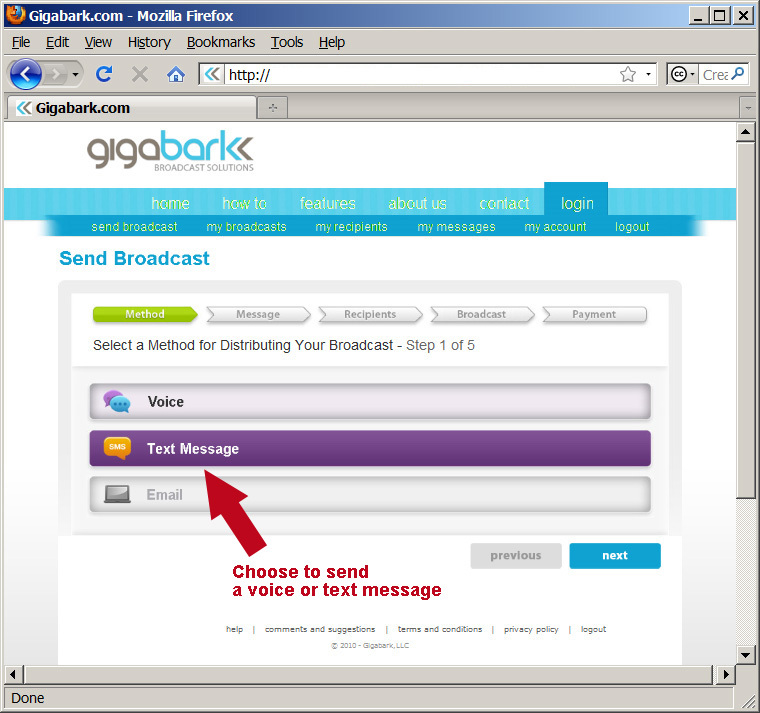 Choose to send a voice message or text message. 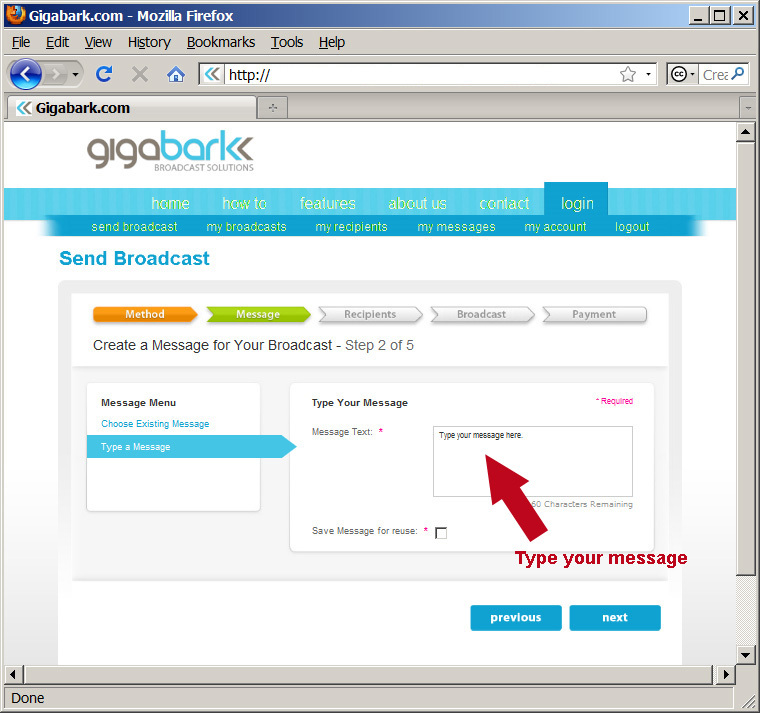 Email capability will be coming soon.